Part I - What Data to Analyze? within a relatively short time span. a uniformed way and not bothering the daily operational environment. Thus comes out the Data Warehouse, which is a repository of an organization's electronically stored data and is designed to facilitate reporting and analysis. Part II - How to Analyze? Data Mining is the extraction of hidden predictive information from large databases. Someone also defines it as knowledge discovery process(using machine learning algorithms) in database. - Typical Data Mining enabled information systems process data in terms of Record(or Case). The challenging part of data mining is various mining algorithms. Here is a list of data mining algorithms available in MS SQL Server Analysis Service. of dimensions. It categorizes data either as numerical values(a.k.a. measures) associated with some facts or textual values(a.k.a. dimensions) that characterize the facts. Facts represent the subject - the interesting event in a enterprise that need to be analyzed. Dimensions represent context information for facts, perspectives to view facts. Measures represent those numeric properties of facts that decision makers want to analyze. manufacture and the brand are all dimension attributes. More tutorial explanation of this model can be found in . 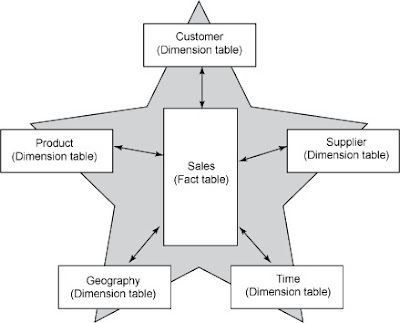 there are usually multiple tables for one particular dimension. the server supports the multidimensional model directly. It's usually regarded to be faster but less scalable than ROLAP. data in a MOLAP store and another part of the data in a ROLAP store. Other related technologies include data visualization, metadata management, analytical query parallelizting etc. Analytical database technology is very promising and also complicated, more survey paper can be found at. Really a great post for database user and for data testing user from quality checking point of view.